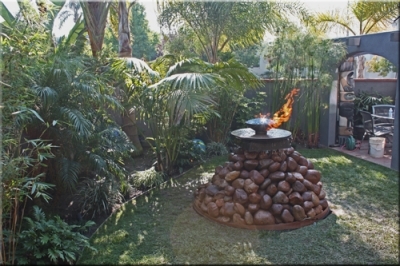 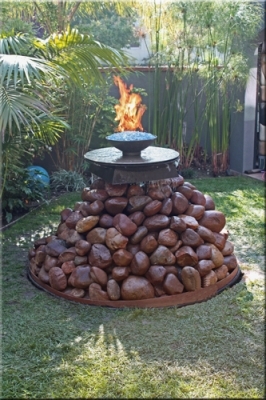 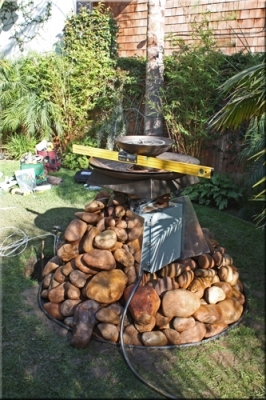 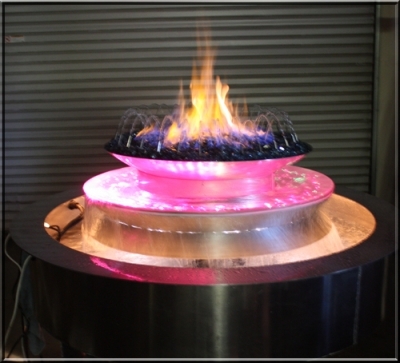 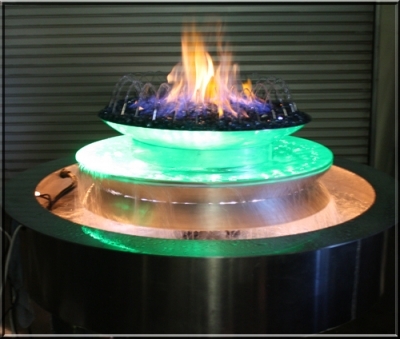 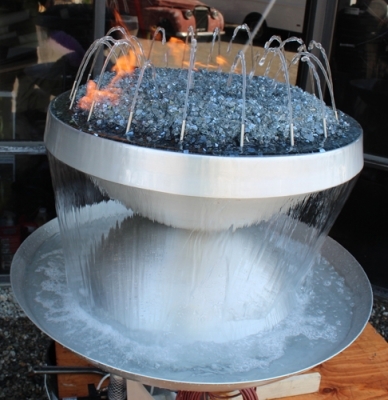 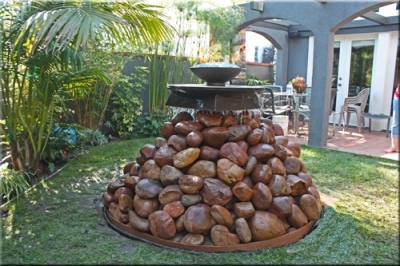 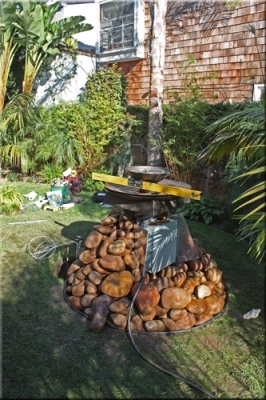 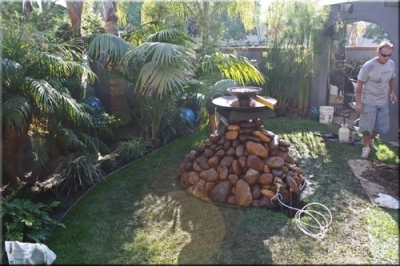 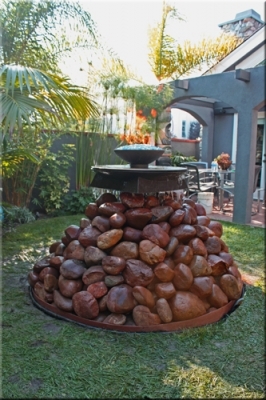 Custom outdoor rock fountain with fire and water top. 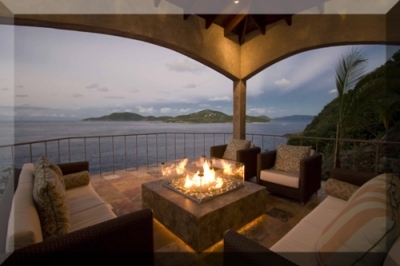 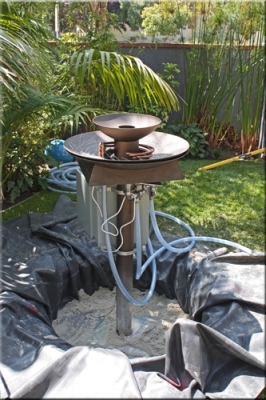 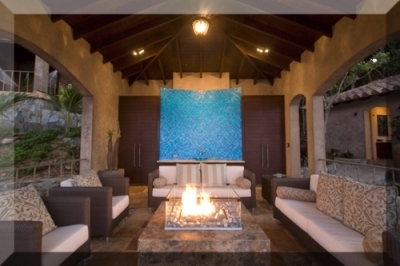 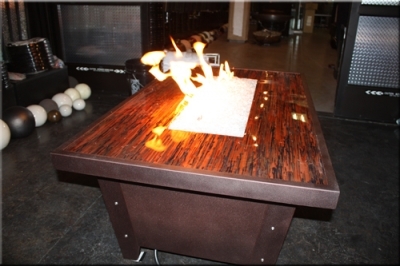 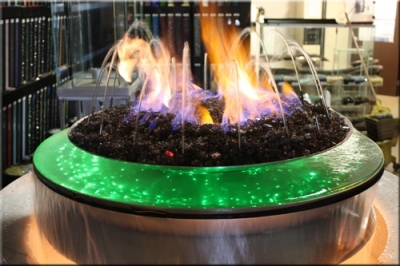 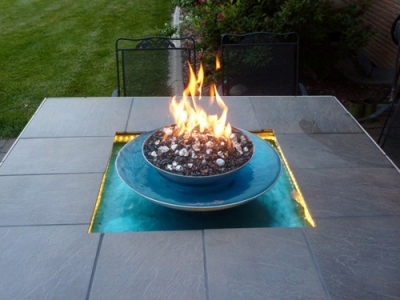 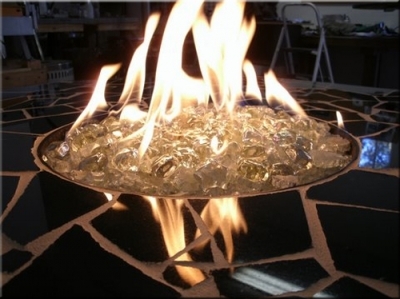 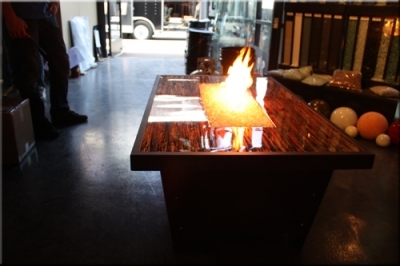 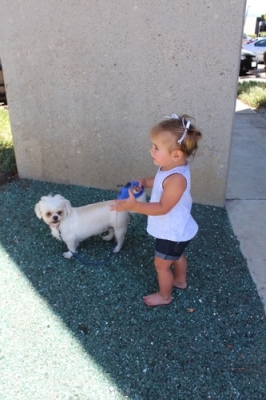 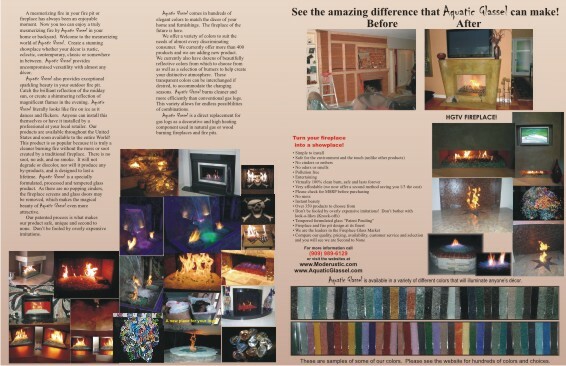 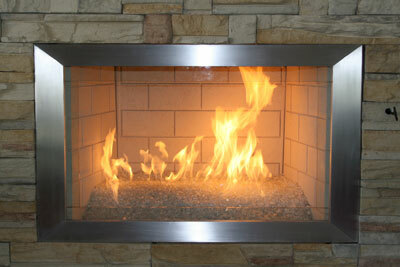 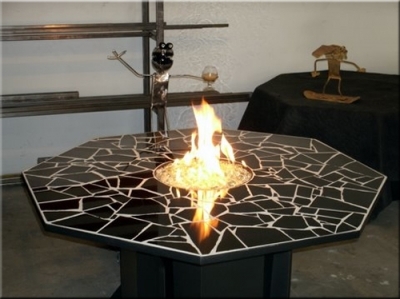 Made to order fire glass backyard garden fountains. 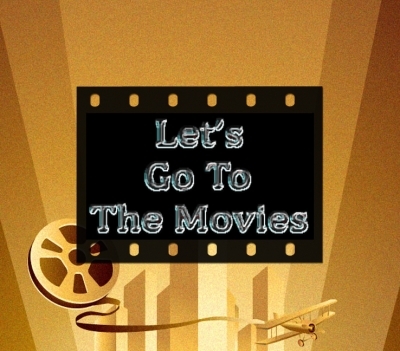 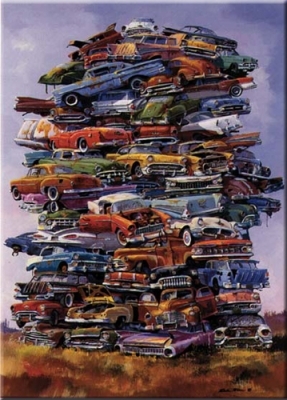 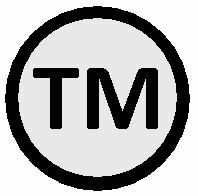 We will explain as we move forward. 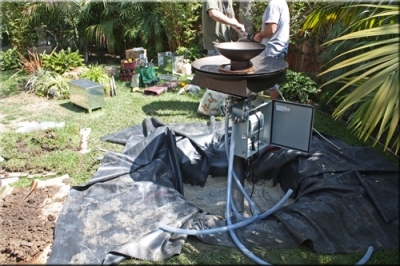 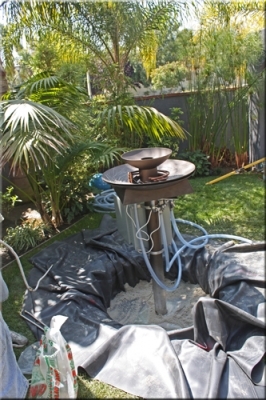 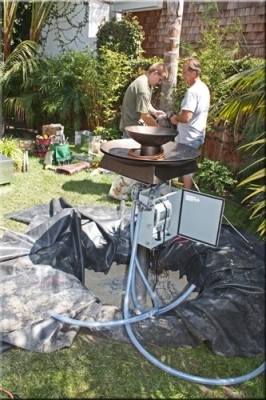 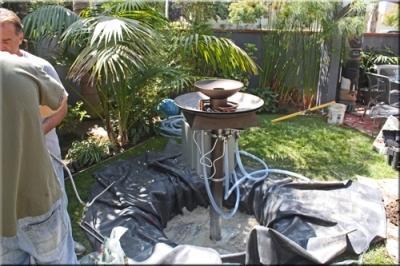 First the utilities were ran underground (18") and this is generally permit required work. 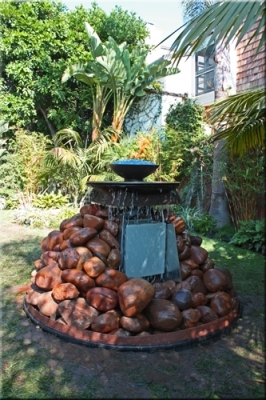 Level the top of the fountain. 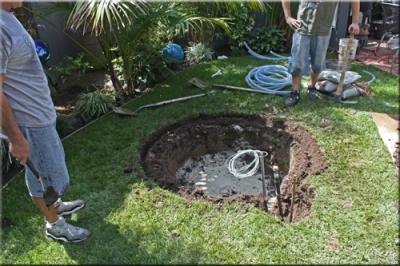 You can see the NEMA box exposed, it will be covered with stone as soon as the electrician finishes his switch installations. 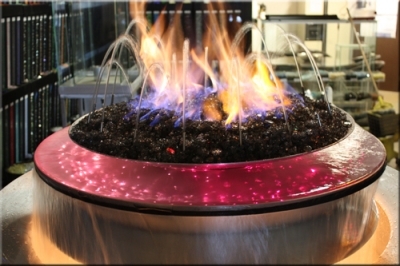 There will be one switch for each of the 3 pumps, fiber optics color wheel and under the top bowl we installed lighting to illuminate the rock below in the the evening.